Google Chrome has a hidden mini-game that involves what? 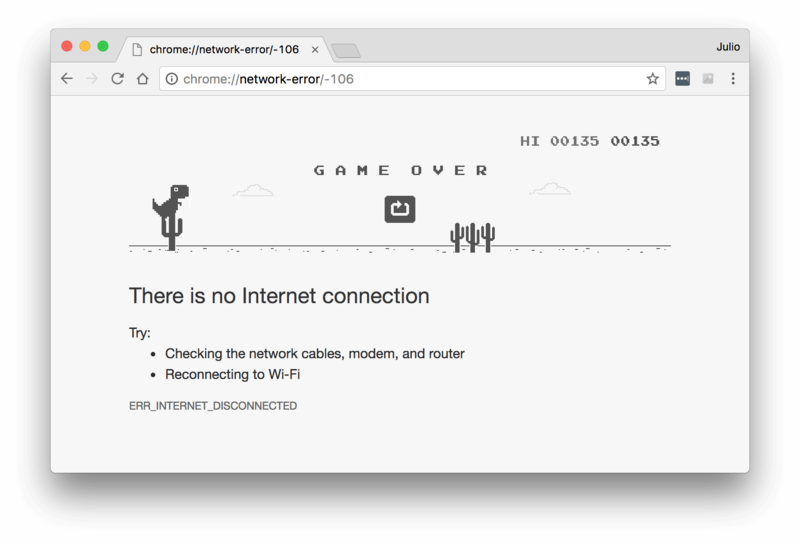 Google added a T. Rex side-scrolling mini-game to Chrome Canary in mid-2014 and eventually introduced it to the browser's stable build. The game is playable by hitting the space bar or up arrow when you come across a connection error screen with the dinosaur. Its mechanics are simple, involving jumping and ducking oncoming cacti and pterodactyls, and although it displays your progress and high score, both are lost when the window is closed or refreshed.